Download a brochure and order form or contact the author. By opening our eyes, minds and hearts to possibilities, we can support our sons, daughters, friends and neighbours to live interesting, challenging and joyful lives. The people with disabilities in this book and their champions are determined to ‘do’ with their lives, not merely exist. Flourish reveals the thoughts behind making a vibrant and interesting life for our son Jim, and tells of 25 people who have been supported to pursue passions, and encouraged to uncover interests they never realized existed within themselves. Contact the author to order. With this easy-to-use book, enhanced with evocative poems, personal stories and photographs from individuals and families around the world, readers will enjoy meaningful and inclusive mealtimes with people who have disabilities. and lively book, you’ll learn how to interact with your children — no matter their age or ability — in a way that increases self-esteem, encourages appropriate behavior, empowers them to recognize and respond to abuse, and enables them to develop life long relationships. Bethesda, Maryland: Woodbine House, 1994. This book explores a subject that we are still not used to hearing about–people with disabilities and the quality of their intimate relationships. This frank and compellilng book contains interviews with 15 couples who speak candidly about their relationships, revealing their deepest feelings, hopes and desires. Each profile begins with a short biography of the couple, along with their photograph. It is important to note that the interviews are unedited for grammar and style, allowing the reader to get a true sense of individual mannerisms and personality. Parents, service providers, and people in the community have a rare opportunity to hear first-hand from people with intellectual disabilities who have beaten the odds by finding companionship and intimacy. They prove that people with disabilities need interdependent relationships just as much as anyone else. This book provides people with role models, and also gives parents and support providers the courage to let relationships happen. Keith Edwards Different Day: Different is Just Different! Keith Edward had a feeling that this day would be special. It’s a day filled with new and “different” people; friendly people with developmental or other disabilities. His amazing day helps Keith discover that everyone, including himself, is unique. Contains a discussion guide for parents or teachers to help youngesters develop a positive acceptance of people with differences which includes typical questions and possible answers. “The uniqueness of individuals is celebrated through black and white line drawings in this helpful story.” — Parent Council, Ltd.
“The new Americans with Disabilities Act has helped open up discussion about disabilities. Honesty is crucial when explaining disabilities to children. Keith Edward’s Different Day helps children learn awareness and acceptance of differences. 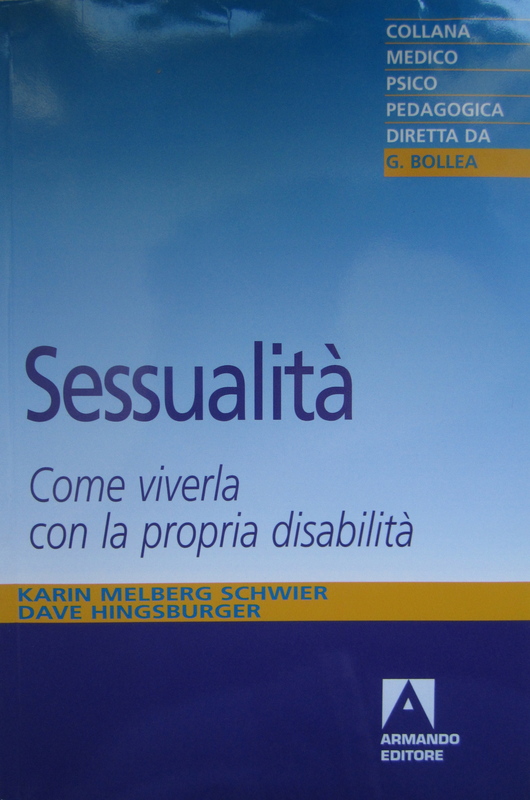 In this unique and compelling collection, people labelled mentally handicapped speak honestly and powerfully about their lives in large institutions and in the community. Through intimate interviews across Canada, the author has captured the dreams, fears, frustrations and humour of people once thought incapable of having ideas, let alone the ability to express them. These are stories of people who were exiled for being different but battled social barriers to establish independence. As their stories unfold, one wonders why communities didn’t think of a better way, and the reader is reminded of individuals who are still struggling. The Alberta Association for Community Living (AACL) had a unique opportunity to capture the oral histories of an aging and vanishing population–people with developmental disabilities who were institutionalized for years and survived to live meaningful lives in the community. These compelling personal histories of triumph over adversity–histories not known or experienced by many Canadians–must not be lost forever. The sharing of these stories not only contributes to social change, but having life stories preserved and respected can be both a healing and renewing experience for people with disabilities themselves. 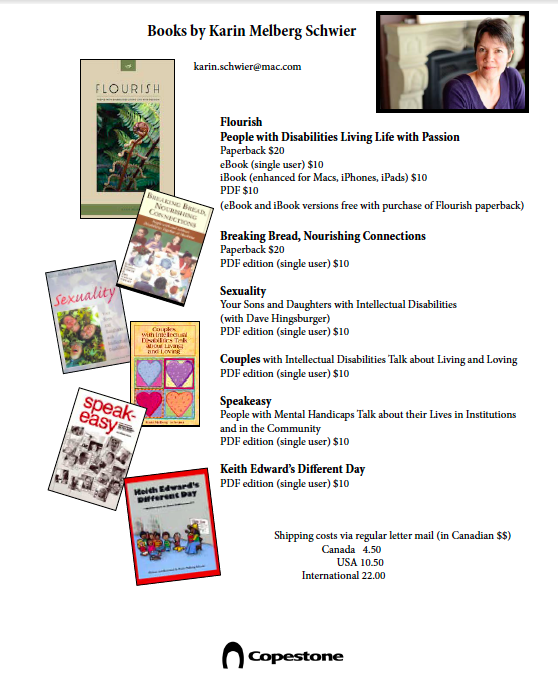 Hear My Voice: Stories Told by Albertans with Developmental Disabilities Who Were Once Institutionalized (AACL, 2006) may be ordered directly from the AACL, $20 plus shipping. Contact AACL, 11724 Kingsway Avenue, Edmonton, Alberta, T5G 0X5. • Original shipment charges are not refundable. You are responsible for all costs associated with return shipment. Your refund will be calculated based on the original purchase price. For example, if you purchased books at a discounted bulk rate, you will receive that rate per book as a refund. • The return procedure above applies only to those items purchased directly from Copestone. It does not apply to books bought at another bookseller, online, or retail store. • We cannot be responsible for packages lost during return so we recommend that your return be sent as an insured package. • Due to the digital nature of the product, we cannot accept eBook returns.